The process of performance management starts when individuals join any organization and end when that particular individual resigns from a job. Performance management is very crucial because by this systematic process the overall performance of an organization can be improved by improving the performance of individuals within the team framework. Therefore the main purpose of performance management is to ensure all individuals in an organization work together for achieving organizational goals and objectives (Gruman & Saks, p. 123). Relevant groups and individuals should be consulted on work to be allocated. In order to manage people and ensure that works get done then it is significant to consult with a range of people. By consultation, it becomes easy to plan work and identify the best allocation of resources. Therefore managers should consult with employees in planning and be reviewing annual work allocations (Van, et. al., 2015). For example, Apple Inc. which is an American multinational company that designs, develops and sells consumers electronics such as iPod, iPhone, computers, software, etc. has utilized the resources very well. The company has progressed a lot and give tough competition to other market giants. The company has sells its products through retail channel and also sells directly to consumers through standalone retail and online stores. The company has always engaged individuals and groups who have skills and knowledge. Apple always engaged its employees and managers discussed work plan with employees and take necessary steps to achieve organizational goals. Therefore it is very important to have the clear understanding of organizational goals when allocating resources (Chelniciuc, 2013). The performance indicator or key performance indicators depicts a type of performance measurement that shows how effectively a company is achieving key business objectives. Key result areas are very significant because on the basis of key result areas individual’s performance is measured. Hence performance indicators should be developed from key result areas (Parmenter, 2015). For example, Google which is also an American multinational organization engaged in internet related products and services. Google’s managers and employees set goals based on overall objectives of the company. Google always defined key result areas and recruit those people who have desired skills and experience in the field they operate. Google uses various motivation techniques for their employees such as Innovation Time Off, where engineers can spend time on projects that interest them. Key performance indicator for employees are decided prior to the commencement of any project and individuals performance is monitored by line managers, Google views its employee as its greatest s assets and always encourage them to achieve organizational goals and objectives. Therefore Performance indicators play an important role in judging company’s performance (Lombardo, 2015). The various activities carried out in organizations will have the varying degree of risk. Many organizations have developed risk management programmes to identify, assess and manage risks, using techniques such as risk assessment. The main cause of uncertainty in any organization is the risk. Therefore organizations increasingly focus more on identifying risk and managing them before they even affect the business. Risk analysis can be quantitative or qualitative, quantitative refers to the numerical identification of possible risk and qualitative risk analysis does not involve numerical probabilities (Kermisch, p. 91). For example, Google’s main reason behind success is the adaptation of innovative business model and gives tough competition to yahoo and Microsoft. As Google operates globally, face risks upon governmental laws and regulations. Therefore the company has developed various risk management approaches for political, economic, technological and social risks. Google has also established powerful technological infrastructure and risk management plan. Google has developed particular department for managing any kind of risk and also follow legal procedures (Lombardo, 2015). Performance management is an important tool and all organizations whether small or large has developed their own performance management system. The human resource management team understand the importance of performance management and implement innovative ideas that ensure good results and improve performance. Performance of any individual working in an organization should be reviewed, monitored and evaluated on regular basis in order to achieve organizational goals and objectives (Goetsch & Davis, 2014). For example, Apple Inc. has set the timeline for the production and continuously monitored the performance of their employees. Apple gives necessary support to staff and helps them to achieve standards and objectives, this includes the review of organizational performance plan, observing and documenting performance and giving feedback. The company has reviewed the performance of employees on a monthly and quarterly basis and ensure that all of them work according to organizational objectives and policies. Apple has maintained good communication channel, ensures that all necessary information should be conveyed to all employees from top to bottom. The company has set the deadline for projects and also set quality parameters, performance is reviewed on this basis of efficiency and quality work (Chelniciuc, 2013). In today’s global environment, performance improvement and role of performance management is an increasingly popular topic in the workplace. Performance management is basically a process of evaluating, developing and identifying the work performance of employees and teams (Evans & Lindsay, 2013). For example, Ikea a Sweden based company that sells designs and sells home related furniture such as chairs, tables, desks, etc. Ikea is also a multinational company successfully operated in 48 countries. Ikea has worked with a performance of its warehouse activities. The company has identified different performance categories which were then defined more precisely and made measurable. The company has conducted training and professional development program to promote the advancement of its employees. The company has also developed a self-assessment tool in which employees are responsible for their own careers growth and should acquire good knowledge which would help them to get the higher position. Therefore Ikea always trained their employees for regular performance management and review process. Hence performance management system is generally considered to be a function of ability, work motivation and their integration. Ikea has still grown at the rapid rate and always encourage its employees towards company’s goal and objectives (Stadtler, p.3). In order to improve the performance of employees, formal and informal feedback plays a vital role. With the help of performance management system, managers receive feedback and used them to achieve their goals, implement their strategies and encourage employees to improve their performances. Informal feedback can help to enhance employee morale, confidence, satisfaction and results (Muller, 2013). Giving feedback to an employee not only benefit employee but it also benefits the organization. Managers regularly inform the employee about their performance level and give them feedback or construct feedback sessions. For example, in organizations such as Google and Apple employees are well informed about their performance and give them feedback regularly, also arrange feedback sessions so that they will get more knowledge about organizational policy. Both Google and Apple have adopted several measures for reviewing the performance of the employees. Organizations have conducted several training sessions for the employee in order to improve their performance and aware them of the latest technology and future planning. Many organizations have identified coaching as a critical leadership and management competency. Coaching improves employee’s skills and also enhances their creativity. Google gives coaching to its staff and helps them to improve their performance on regular basis. It is important to conduct coaching for staff to improve performance and confirm excellence in performance. A leader in Apple acts as mentors and coaches and encourage teamwork and togetherness. Managers communicate with individuals about their performance and also asked them if they need any kind of training for performance improvement (Cummings & Worley, 2014). Employee recognition refers to a timely, formal or informal acknowledgement of individuals or team’s behaviour, effort or business result that support organizational goals and values. Employee recognition lets employee know that their hard work is valued, improves morale, enhance loyalty, increase employee motivation and retention. Therefore excellence in performance is reinforced through continuous recognition. Positive feedback also encourages employees to work honestly and efficiently towards organizational goals and objectives. Multinational organizations such as Apple, Google, Ikea, etc. always focused on employee recognition and appreciate their work by giving them appraisals. At Apple staff members’ performance is accessed and feedback is given by managers, colleagues and customers. Employees are appreciated for their honest working and they are treated as valuable assets to the company (Bradler, et. al., 2016). Organizations always want their employees to work efficiently and regularly improve their performance. Sometimes due to personal problems or workload performance of the staff members has affected. Managers have recognised their poor performance and asked them about problems or if they required any kind of training (Evans & Lindsay, 2013). Managers identified employees who do not achieve their targets and immediately awareness about their performance. For example, Multinational companies have reviewed the performance of employees on regular basis and inform them and give them feedback about their performance. Apple and Google both are high profile companies that believe in innovative ideas and regular development. 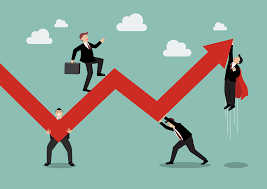 Both companies assess employee on regular basis and if their performance graph goes down then immediately they will inform about and ask for improvement (Nwogugu, 2015). Organizations regularly keep their eye on the development and growth of employees. Performance management team regularly focus on individual’s performance and inform them about their performance. Development plans are developed according to the needs of the employees. Human resource management team conduct employee development programs and training on regular basis. For example, Apple wants their workers to be successful in their factories and also help them to explore new opportunities. The company has developed Supplier Education and Development program for employees’ education and growth. Performance improvement plans are developed when staff members needed (Muller, 2013). Companies recognize individuals who continuously perform below expectations. Company asked employees about their degradation in performance and counselled them and also placed them within disciplinary process. Companies have conducted training or counselling for employees to overcome their problems and also asked them to take leave for few days if they want (Poister, et. al., p. 625). They give motivations to staff and support them to improve performance. For example, Google and Apple both encourage and motivate their staff members for high-class performance but if employees do not improve then they arrange counselling classes and motivate them. Personal development sessions are conducted to employees who underperform and take necessary action. If employees regularly underperform and do not follow organizational rules and regulations then employer give them an opportunity for improvement. If employees do not improve their performance then a company would be terminate that particular employee. Organizations research previous documentation of poor performance and misconduct and after all documentation process, the company will file termination according to policy. Human resource management team and legal department review termination and inform the employee of the termination (Cooper & Ezzamel, 2013). Documenting performance is significant to the success and safety of the organization. Managers required to do performance documentation and reviewed that documentation for changes in performance or any misconduct done by staff members. Performance documentation provides management with a guide to improvement, organizations can easily find out areas of weakness as well as success. For example, Google has used software to document the performance of their employees and give them feedback by reviewing the documents (Muller, 2013). 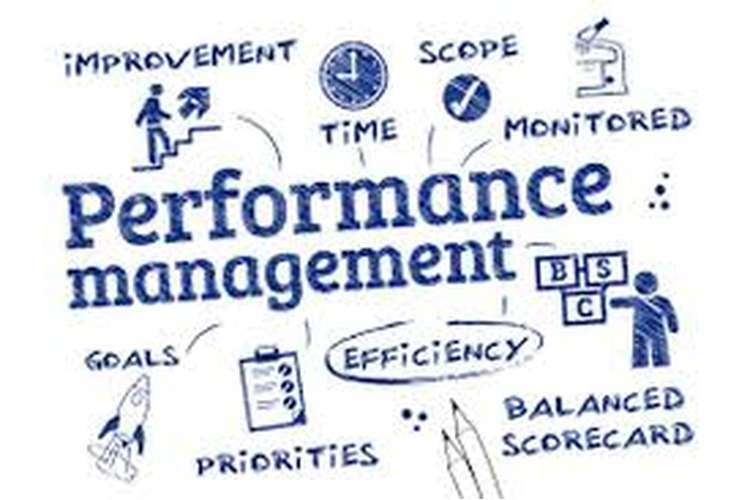 It is concluded that performance management system has played role in determining individual’s performance and efforts towards organizational goals and objectives. Performance of employees should be reviewed regularly and give them chance to improve. This study emphasized on various aspects of performance management system used by organizations for their employees. Organizations should be utilized total quality management tools and review the performance of employees on regular basis. Managers should identify the skills and knowledge of employees and deployed them accordingly so that they perform effectively. Top management should communicate organization’s core values, objectives and mission to employees and motivates them to achieve organizational goals. Proper documentation of performance should be done and specific plans should be adopted for achieving targets. Analyse and assess feedback on the achievements against stated objectives and work plans. Increase motivation of employees by rewards and provide the opportunity to develop skills. Performance can be improved by proper coaching, mentoring and self-managed learning, allocating responsibility and creating the right working environment (Richardson, 2014). Gruman, J. A., & Saks, A. M. (2011). Performance management and employee engagement. Human Resource Management Review, 21(2), 123-136. Van Dooren, W., Bouckaert, G., & Halligan, J. (2015). Performance management in the public sector. Routledge. Qamar, A., & Rehman, K. U. (2015). Book Review: Performance Management: A Roadmap for Developing, Implementing and Evaluating Performance Management Systems. ABAC Journal, 35(2). Goetsch, D. L., & Davis, S. B. (2014). Quality management for organizational excellence. Pearson. Evans, J. R., & Lindsay, W. M. (2013). Managing for quality and performance excellence. Cengage Learning. Pritchard, C. L., & PMP, P. R. (2014). Risk management: concepts and guidance. CRC Press. Nwogugu, M. C. (2015). The Case of Apple Computers, Inc.: Failed Strategic Alliances, Corporate Governance and Risk Management. Corporate Governance and Risk Management (June 1, 2015). Heracleous, L. (2013). Quantum Strategy at Apple Inc. Organizational Dynamics, 42(2), 92-99. Muller, M. (2013). The Manager's Guide to HR: Hiring, Firing, Performance Evaluations, Documentation, Benefits, and Everything Else You Need to Know. AMACOM Div. American Mgmt. Assn. Richardson, F. W. (2014). Enhancing Strategies to Improve Workplace Performance. Bradler, C., Dur, R., Neckermann, S., & Non, A. (2016). Employee recognition and performance: A field experiment. Management Science. Kermisch, C. (2012). Risk and responsibility: A complex and evolving relationship. Science and engineering ethics, 18(1), 91-102. Poister, T. H., Pasha, O. Q., & Edwards, L. H. (2013). Does performance management lead to better outcomes? Evidence from the US public transit industry. Public Administration Review, 73(4), 625-636.